That it almost looked like a tree stump. 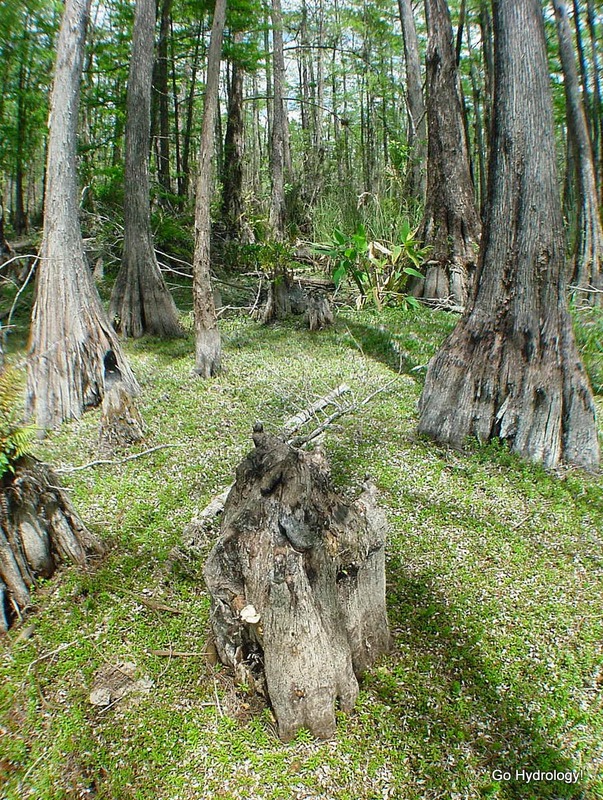 Apparently one of mechanisms by which knees form is cypress roots growing around old tree stumps, possibly for nutrients or stability, but not for oxygen -- although the jury on their role in exploiting other atmospheric gases is still up in the air. On second thought, this may very well be a stump. I'll have to double check next time I'm out at this spot.